Did you realize that you are most probably an experienced grant writer already? "NO", you say, "I've never written a grant in my life before" -- but you have. Most people out there have asked somebody, at some time, for something in writing (one way or another), so you have most likely followed some of the basic principles and procedures of putting a good case forward for something you want (and not necessarily for money). And basically that is what a grant proposal is all about. Okay, there's a little more to it than that--but the techniques you consciously (or unconsciously) learned when putting together those requests, when submitting them and SUCCEEDING, are a fabulous place to begin. BUT obviously you need to polish up that gem by building on the basics, learning the techniques, and following the requirements and conditions for writing successful grant proposals. And there is no better place to start than with this course. It doesn't supply all the answers, no one source does, but this approach to the subject of grant writing is clear, straightforward, and easy to understand. It doesn't matter whether you are looking at grant writing just as a means of helping your child's school, or looking at it as a part or full-time career. You can and will be successful if you set your mind to it and invest a little of your time in carefully going through this course, researching sites suggested in it, and building from there. Join us today, and let's learn how to write a successful grant proposal! There are literally hundreds of thousands of organizations looking for funding and others looking for good projects to fund, whether those projects belong to individuals, foundations, organizations, or governments. Grant and contracting announcements are released every day. Matchmakers are needed to bring together both sides; i.e., the seekers and granters. That is where you could come in! Particularly as there are not nearly that many good grant writers or matchmakers that can bring them together. Before you can strike gold, however, you need to mine the basics of the process, whether you are producing grant applications, which are formal written requests for money, usually from a government agency or a corporation; or responding to requests for proposals (RFPs) or requests for qualifications (RFQs), the more free-flowing, informal grant appeals. What or Who Is a Grant Writer? The short answer is no one! The terms "grant writing" or "grant writer" are misnomers, as no one actually writes grants at all. People write grant proposals when they are seeking money from people or organizations. Those same people, foundations, or organizations receiving the proposals in turn write the agreements and checks to cover the amount the grant is for. That is when the actual writing comes in. The grant writer label is widely recognized to describe the actual process of proposal writing, as well as depict the way people visualize the job. So, rather than split hairs, let us agree to accept the label of grant writer as such. If you are to be successful in this field, you need to be aware that a grant writer does much more than simply write proposals seeking funding. He or she must be fully familiar with the philanthropic philosophy of the community served, including understanding how to search for the wide variety of grants available and how to conduct the correct selection process. In addition, he or she must be an imaginative problem-solver. Grant proposals are requests submitted to individuals, foundations, or the government for funding. They include a narrative, forms, and usually attachments to support the request. It is a responsibility of the grant writer to develop and compile all the necessary documentation for submission and to do so creatively. Grants are gifts made by those individuals, foundations, or governments, and most often they are made to nonprofit organizations; i.e., those organizations designated 501(c)(3) by the Internal Revenue Service. In this course, we deal also with the "cousins" of grants, which are contract bids (RFP responses) and cooperative agreements; all we have to say throughout applies equally to all facets of the process. So let us consider that grant writing applies across the board to all similar types of activity for ease of explanation. It should be noted that foundations actually are prohibited from making grants to individuals. Therefore, if an individual desires funding, he or she needs to seek the services desired through a nonprofit organization, which in turn seeks the funding through grants. It is crucial that you can speak and understand the language of "Grant-ese." It is not as difficult as learning to speak Chinese, German, or French; but you need to appreciate how important it is that you are proficient in the language of grants if you are to be successful in this field. Using either incorrect or confusing lingo, especially for high-level support requests, not only leads to frustration, confusion, and delays in getting a decision but usually, more often than not, to rejection. That is something you definitely do not want to encourage! Rather than go into a long list of words and their meanings here, we will provide a glossary as an addendum to these lessons, as well as a list of some great referral material. It is important to stress, however, the necessity of not only speaking the language but doing so in such a manner that you inspire confidence in both clients and grant makers. Learning the words and practicing them will greatly assist you when you are placing your ideas down on paper and organizing your thoughts together in a winning fashion. Establishing Your Grant Seekers: Who Are They? The term "grant seekers" denotes not only those individuals or organizations seeking funds but also those organizations, corporations, and individuals looking for funds to give, sometimes to lift their profile in the community, sometimes for a tax benefit, or for a number of other reasons. You could end up working for a school, hospital, police or fire department, charitable or religious institution, college or university, or even a museum or an artistic organization, such as a symphony orchestra or ballet company. Rest assured they are all always on the lookout for competent grant writers--that is, someone who can get them more money. There are several crucial skills you absolutely need to be a successful grant writer. You not only need to do them efficiently but consistently and without fail. To start with, you need to have empathy for the persons who will be reading your grant proposals. In other words, you need to appreciate what they need to know and how to clearly explain it to them. Treat their time and your own with respect. Next, never miss a deadline. Keep in mind that sometimes, even if a grant proposal arrives as little as an hour or two late, it may miss being reviewed. Yes, it can be tough! Third, and although it may seem obvious, read and follow the instructions. Finally, become a good test-taker; that is, be someone who not only reads the questions clearly but analyzes them for clues to the best possible answer. In other words, go right to the core of the questions. You will soon realize that there are just two ways to approach the seeking of grant funding: (1) you search for matches between organization/foundation guidelines and your client organization's mission, and (2) you respond to a RFP (request for proposal). It does not matter whether you are writing with regard to an actual RFP or to guidelines, the grant proposal instructions must be followed carefully and precisely. TIP: You must use the language and approach set out by your addressees. Be aware that changes to the intent of funding have been taking place. Whereas at one time funding was available mainly for capital projects, such as construction, renovation, etc., and original staffing costs and items necessary for special project implementation, grants rarely covered operational costs, such as utilities and ongoing staffing expenses. Operating grants are now becoming increasingly common as organizations are wishing to ensure the continuance of successful programs, particularly those that have been deemed necessary to an organization and the community. The kinds of projects that almost always get funded are those that appear headed for certain success. Many view the United States as the most philanthropic nation in the world, and that is probably correct. Americans have every reason to be proud of their long-standing tradition of caring for those less fortunate and of sharing their blessings with others. These traditions date back to Native Americans and early religious leaders in particular, who both shared their bounty of harvests and knowledge with others through the centuries. In 1913, the federal government established the income tax program through which it collected money for redistribution throughout the United States, wherever it was most needed and useful. Today the government plays a very active role in determining the types of projects that need and receive public support. The grant-seeking process commences when the government agencies involved issue RFPs for this purpose. Complete: Lesson 1 Assignment: Why Grant Writing? Complete: Lesson 3 Assignment: What Makes a Good Grant Writer? Lesson 4: Where Is the Money? Take Poll: Do You Feel Prepared? Define grant proposal and describe the basic purpose of writing one. Know which projects and proposals will be funded and why. Know the best places to find money for grant projects. Know the key working components of a grant proposal. Describe what action plans are, why they are important, and how to establish their timelines. Design, establish and utilize an appropriate evaluation plan. Demonstrate how to write an appropriate budget for a grant proposal. 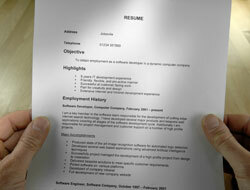 Create a cover letter and complete the application. "I found it all very useful. I have not written a grant before, and I knew it was time consuming, but this course taught me I will really have to manage my time greatly. I think that one of the parts I liked was the resources that I did not have previously, I had now. " -- Peg J. "I enjoyed the course and had a wonderful instructor." -- Faith R.
"This course was very helpful. I am ready to get started." -- Melrose W.
"I found the instructor to be knowledgeable and encouraging. Excellent!" 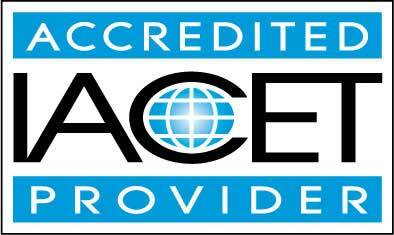 -- Heather K.
"I couldn't have been more pleased with the quality of this course and the instructor. The assignments were in-depth and provided an effective opportunity to put theory into practice." 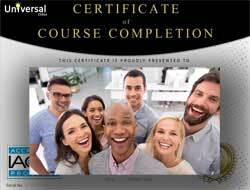 -- Tammy S.
"The course material was easy to read and easy to navigate....Instructor was very timely in grading and providing feedback. This was very helpful." -- Mark O. "Every part was great. It was all very helpful. My instructor was very helpful." -- Sonia L.